The Honda City is an immensely popular nameplate in its segment. In its latest avatar, it has garnered more buyers than any of its previous versions. It got a facelift in 2017 when it received some cosmetic and feature updates to make the package better. Honda offers the City with both petrol and diesel engine options. And while the manual transmission is standard, only the petrol version can be had with an automatic gearbox. 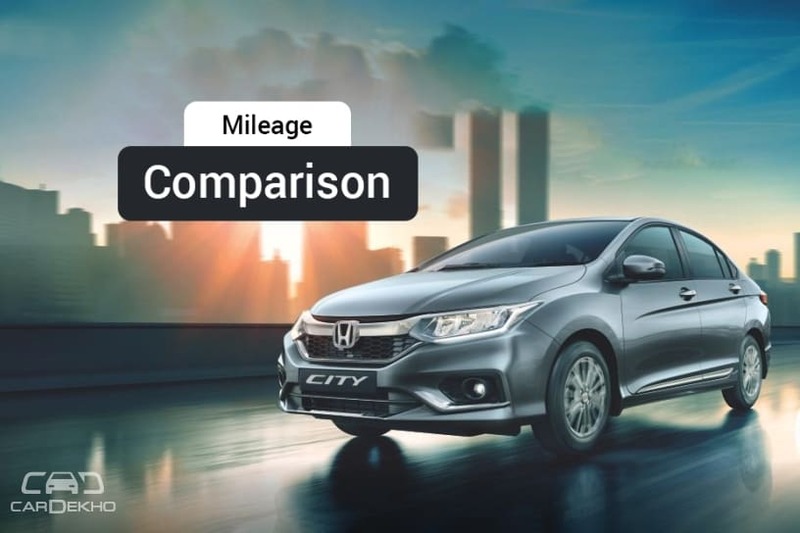 The carmaker claims that the fuel economy of the automatic Honda City is better than the manual. The company-claimed mileage of the petrol Honda City stands at 17.4kmpl and 18.0kmpl for the manual and the automatic respectively. We tested both the cars in the real world and here’s what we found. The petrol Honda City with a manual gearbox returned 13.86kmpl in the city and 19.21kmpl on the highway in our tests. On the other hand, the automatic transmission-equipped Honda City returned 11.22kmpl and 16.55kmpl in the city and the highway respectively. As you can see, both in the city and on the highway, the manual Honda City is ahead of the automatic by a margin of around 2.6kmpl. The lower fuel efficiency of the City CVT is due to the fact that in order to change pace, its powertrain makes the engine work harder (revs higher) in comparison to the manual transmission. Since a real world scenario sees a lot of change in speed, even on the highways in India, the City CVT returns a lower fuel efficiency compared to the manual. Powering the Honda City petrol is a 1.5-litre i-VTEC engine, which pumps out max power of 119PS and a max torque of 145Nm. It can be had with either a 5-speed manual gearbox or a CVT automatic. In the midsize sedan segment, the Maruti Suzuki Ciaz (20.73kmpl/19.12kmpl (AT)) leads the list of the most fuel efficient petrol sedans as claimed by respective manufacturers, followed by the Honda City, Toyota Yaris (17.10kmpl/17.80kmpl (AT)) and the Hyundai Verna 1.6-litre petrol (17.70kmpl/15.92kmpl (AT)).